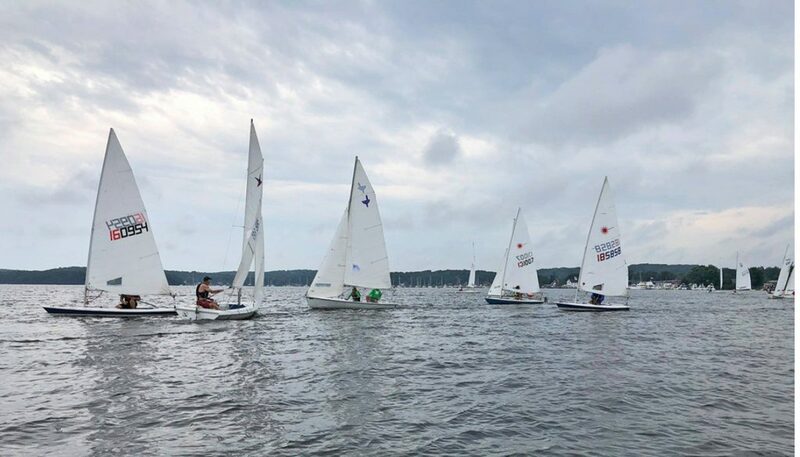 Four yacht clubs on the Connecticut River in Essex, CT – Essex Corinthian Yacht Club, Essex Yacht Club, Frostbite Yacht Club and Pettipaug Yacht Club – are proud to present the Second Annual Connecticut River Leukemia Cup Regatta, a two-day one-design river regatta scheduled for May 4 and 5. This event is open to any one-design fleet with five or more registered boats, including Ideal 18s, Etchells, MC Scows, Lasers, JY15s, Club 420s, Sunfish, Force 5s, etc. Boats that do not form a one-design class will race as a handicap class, with the North American Portsmouth tables used to calculate each boat’s corrected time. Adult and junior sailors are welcome, and written permission from parents or guardians required for skippers less than 18 years of age must be received before the start of racing. The Honored Skipper is Bear Hovey, a myeloma survivor who’s as tough as his ursine namesake. Since its inception, the Leukemia Cup Regatta series has raised close to $70 million to advance the Leukemia & Lymphoma Society’s mission to cure leukemia, Hodgkin and non-Hodgkin lymphoma and myeloma, and improve the quality of life of patients and their families. 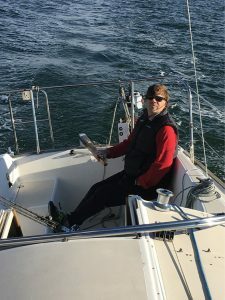 At Leukemia Cup Regattas hosted by yacht clubs across North America, skippers register their boats and recruit friends and colleagues to crew and raise funds. Crewmembers seek donations from friends, family, co-workers and employers to sponsor their boats, and local businesses are encouraged to act as event sponsors. The post-race party on the Essex waterfront starts at 5:00 pm Saturday, May 4, with food, drinks, music and a silent auction. “The party is open to the public, and sailors, powerboaters and non-boaters are all welcome to attend!” said Emblin, “and there’s an awards reception on Sunday. Tickets may be purchased online or from the hosting clubs.” For more information on how to participate in the regatta, support the charity by raising funds (even if you’re not sailing you can create a “virtual boat” online to raise funds), or becoming a sponsor, and to purchase party tickets, visit essexcorinthian.org/2019ctriverleukemiacup.html or leukemiacup.org/ct. ■.